I would love to enter to win this superprize of 1 million gwy # 18000 VIP ELITE REWARDS for being a loyal customer Pay Day on December 21. 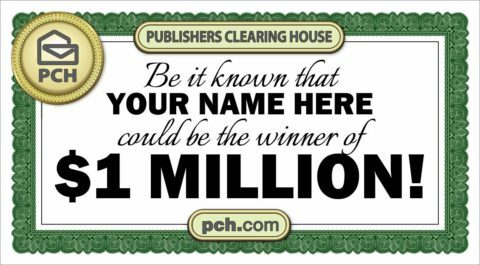 PCH Five Prize Tickets, I am claiming ownership and active 2 of 5 Search, SEARCH # 3 entries to win $1,000,000.00 SuperPrize, GWY #18000, 12/21/18. I want to win prize. I AM IN IT TO WIN IT. I want my entry for 1 million to pay off the gwy # 18000 i have plans for this bundle of money. 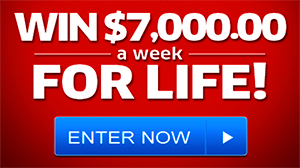 Yes I want to win $1,000,000.00 Plus $50,000.00 Bonus! Thanks again PCH and Prize Partrol. God Bless. Pch prize patrol I want to win big money.from your sweepstake. After I regained consciousness I would call a few very important people in my life. After that, I call my Financial advisor and our lawyer who just helped us with our filing for bankruptcy. VIP ELITE RESTRICTED ACCESS Bonus Opportunity Reserved For VIP ELITES Only! 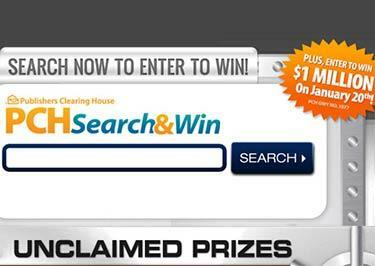 Yes, I’m searching from all SIX Button’s by tomorrow’s 11:59 PM, ET entry deadline. Yes I would love to win the 1million dollars cash prize Big Check would be the very happy day for me!